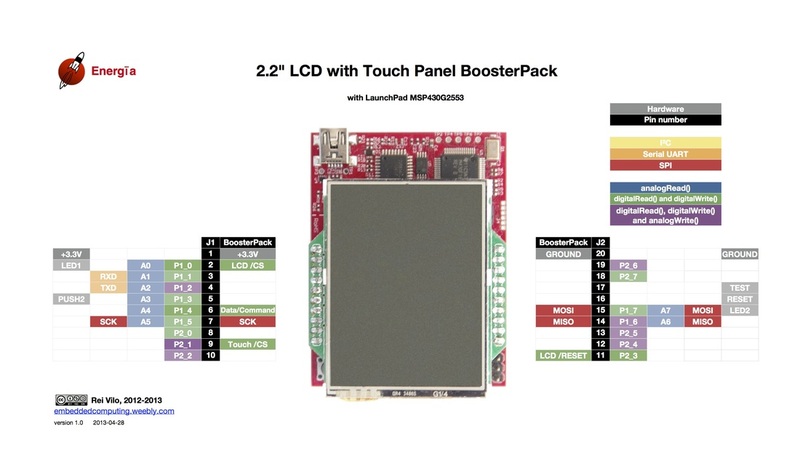 This 2.2" Color LCD Booster Pack with Touch has been designed by Rob and is available at the 34oh store. It features a 220 x 176 pixels screen with 256K colours and touch. Connection is done through SPI, software or hardware, and uses 4 additional pins only to be added to the SPI pins. The two controllers are the HX8340B for the screen and the TSC2046 for the touch panel. It works easily on the LaunchPad MSP430 and Stellaris. At less than USD25, this screen provides great value.